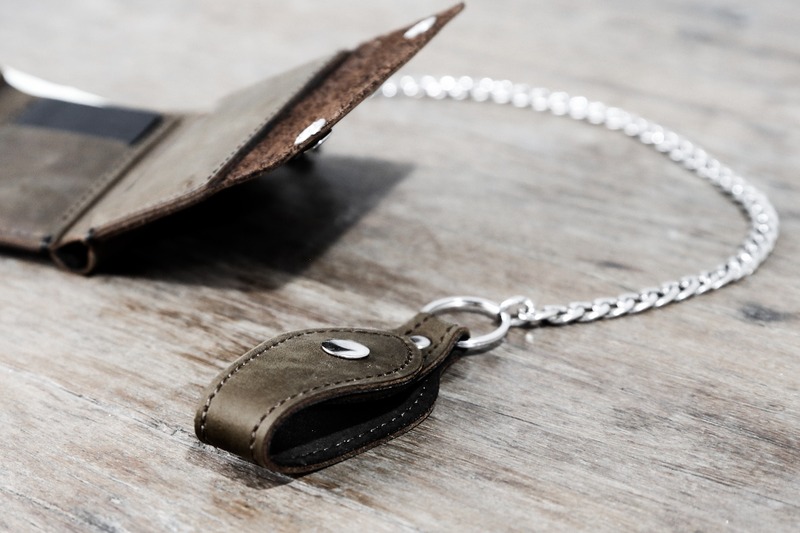 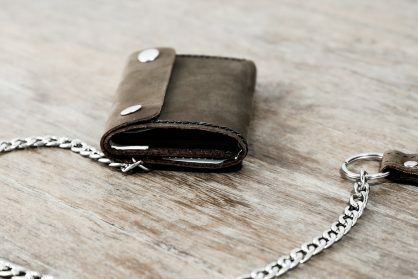 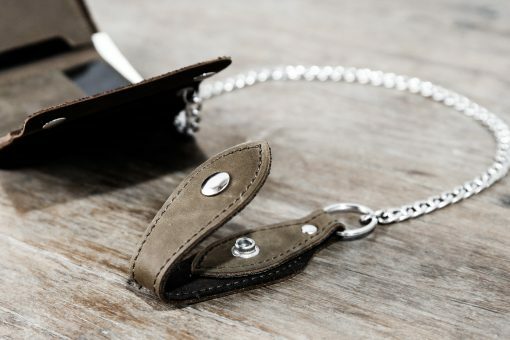 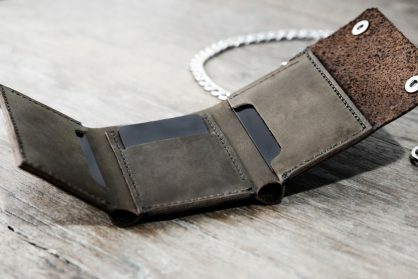 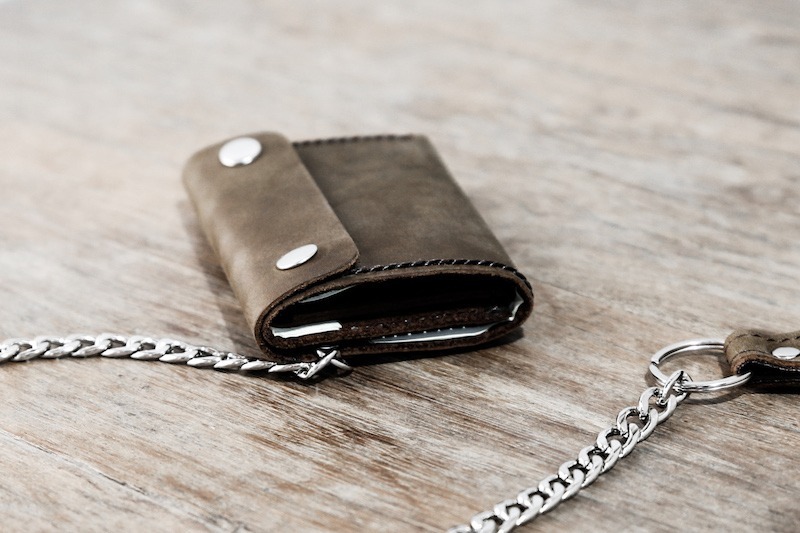 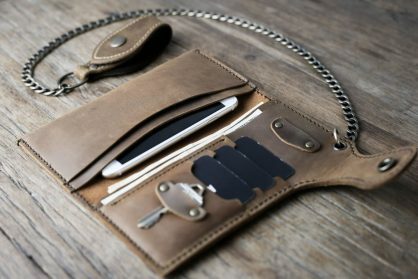 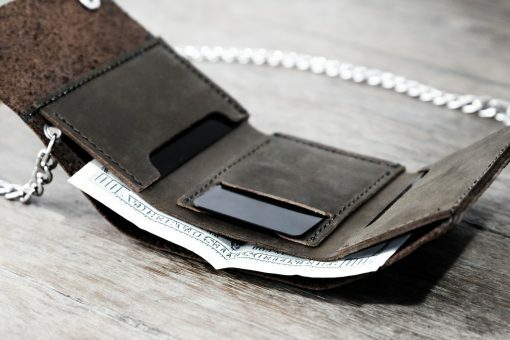 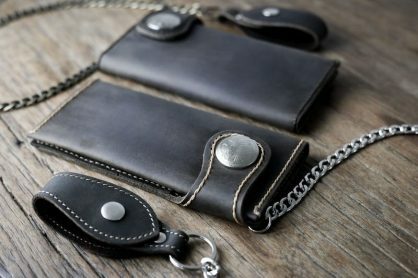 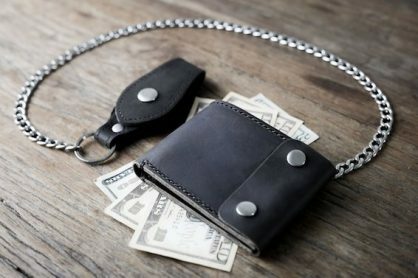 This Trifold Wallet with Chain design can hold a lot of cash. 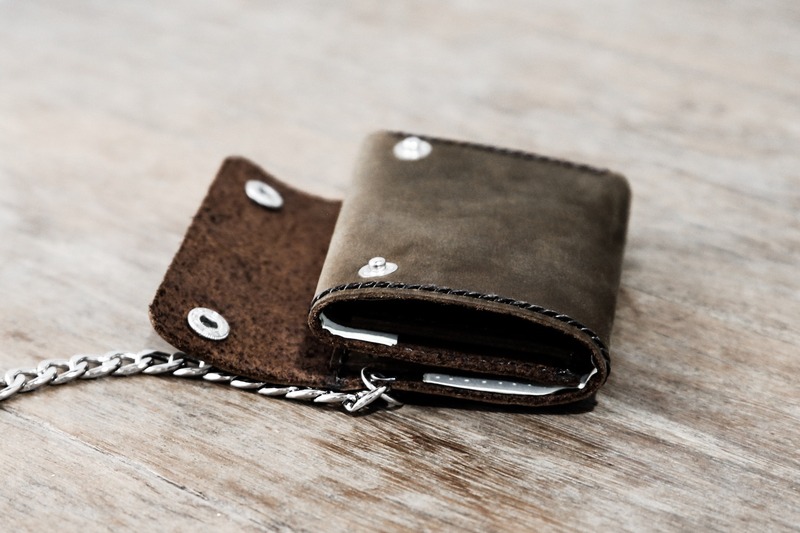 Each wallet is individually crafted so no two wallets are the same. 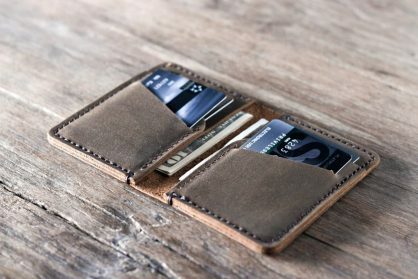 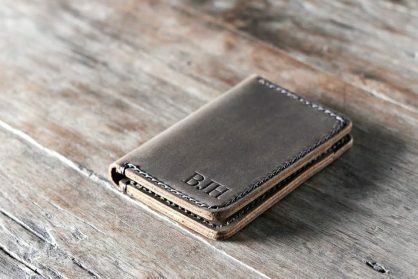 If you choose to personalize this wallet, please leave us your instructions in the Notes section, on the Checkout page. 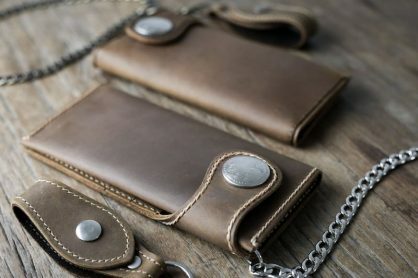 Checkout our other super awesome chain wallet designs.